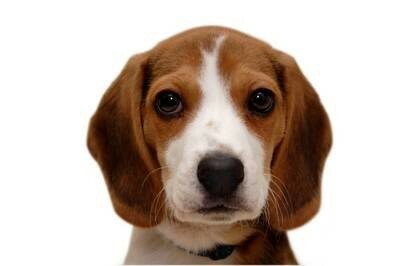 Beagles are a breed of medium sized dogs. 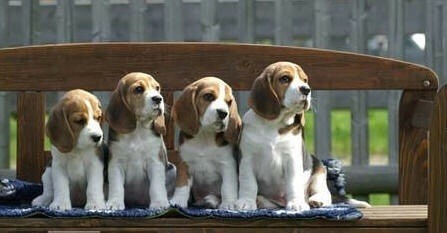 They are members of the hound group since it has a similar appearance to a fox hound. 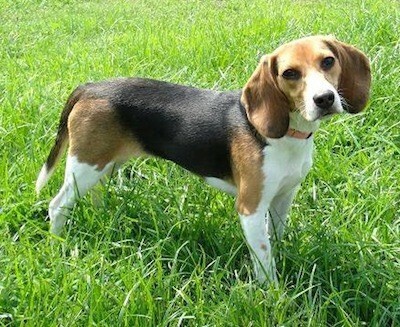 Beagles are also scent hounds developed primarily for tracking and hunting small game. They have a great sense of smell and tracking instinct that sees them employed as detection dogs for prohibited agricultural imports and foodstuffs in quarantine around the world. Beagles are intelligent but single-minded, and popular pets because of their size, even temper, and lack of Inhereted health problems. 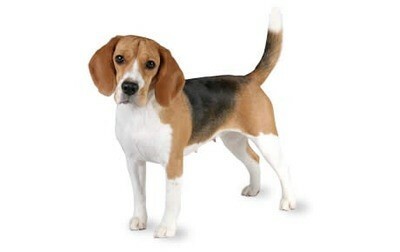 In the early 1870’s, General Richard Rowett from Carlinville, Illinois was one of the first people to import Beagles from England to the US to begin establishing a quality bloodline. The purpose was to raise them to hunt. Since then they have become a common household pets. It is said these original small size Beagles had become extinct, however they have been re-created and are now being bred once again.